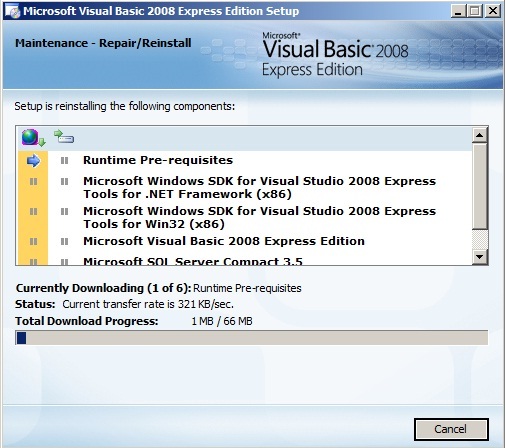 Visual Basic 2008 Express Edition is part of the Visual Studio 2008 Express. 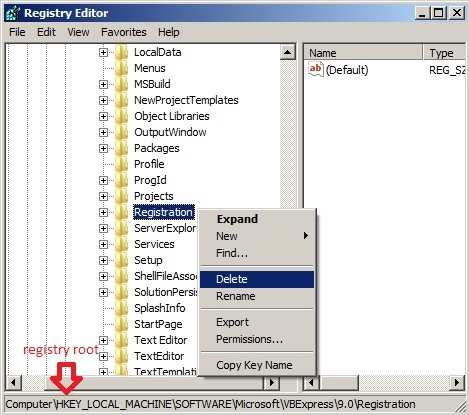 The express edition is designed to focus on productivity and rapid application development. It is easy to use, easy to learn, and streamlined. Although the express edition contains mostly the same components, it lack the full breadth of features found in the full version of Visual Basic 2008. Most features and components in the Visual Basic Express Edition - 2008 are simplified to make the learning curve less steep and to fit the needs of a beginner level developer. It is designed with beginner programmers in mind, people who are curious about programming and who are looking for an easy way to build Windows applications while learning how to program. delete nyo lang mga boss yung registry na naka indicate sa second picture above.